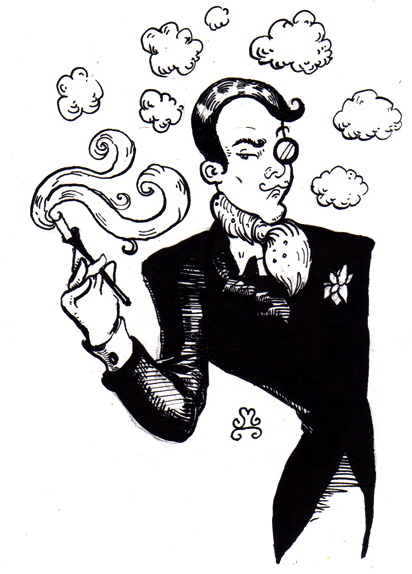 World War II | The Perfumed Dandy. But the white linen sheet did not resemble the sea, instead it looked like a silk parachute being prepared for packing. In this moment it smelt almost mythically clean, an advertising man’s dream of ‘daily laundry fresh’. Then sensory sparks begin to fly. With quick, brisk flicks of her wrist sharp, sizzling clove oil is dispensed from a tiny brown glass bottle via a dripping nozzle. Her voice has the friendly firmness of a primary school teacher and its volume too, though she is addressing a class of one adult across a spare bed in a box room. She laughs at her own remark, a little rebuke for even the slightest show of self pity. As she does so her immaculate teeth gleam and you know it wasn’t any dental decay she spoke of trying to salve. She turns around and from a tall clear glass jar glistening on the window sill of the in-the-eaves room, she withdraws a handful of claret coloured petals. At first you think them roses. There may be some mixed in. But as she throws them in the air, like a farmer sowing seeds for hens to feed on, first their corrugated form then the pepper of their scent reveals them as part of the carnation’s crown. She says, eyes bright, a sense of urgency crackling in the air around her. You ask, almost in a hiccup, involuntarily. She whispers more to herself than you, taking the neatly squared sheet off the bed as she does so and placing it in a linen box with her right hand as she deftly removes another identical item from the bottom of the pile. A movement made almost automatic through repetition. And with two strong movements of her thin, sinewy upper body and arms she unfurls the fabric like a new flag in fervent weather. Inhaling as dessicated petals from a past pleating session sail through the air, you find the odour nears overpowering. The spice of cloves has just survived, the carnation with it is hot and heady, but the musk, a spotless dust wins through. Looking at you, with her old ageless eyes… she smiles. Clove, carnation, and hard fought clean. That is how Bellodgia by Caron goes. The original vintage is a survivor’s scent, that has unfortunately not itself survived reformulation. It is a brave, bracing smell replete with assertive spice in a clove laden opening. The pepper of carnations is then used as an olfactory stepping stone to a more floral core, with that most military of blooms as its signature note. There are roses and violet and some jasmine to hold the whole together, but it is the carnation that you will remember. musk that has the air of the finest laundered linen in the days before industrial detergent took over the home. It is sweet, slightly powdery, but never allowed to be entirely domesticated on account of the clove and red flowers that remain. 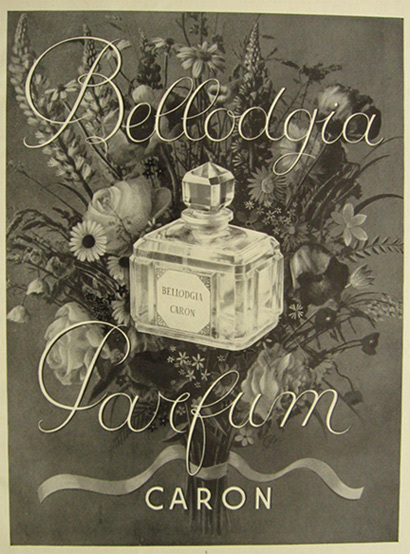 Bellodgia is a fragrant aide memoire on best writing paper, a jotting down of one the finest points of perfumery from an age now passed, when florals could be formidable and clove truly, but beautifully, combative. Thankfully, dearests, you did not ask me to write on Piu Bellodgia, the unforgivably thin, detergent like concoction that Caron have allowed to sequester the name of this great scent. Others have written eloquently on that perfume, so I will not. Save to say that even though I am not as dismissive of all the latest versions of Caron’s that one is truly unworthy of both your time and the name it bears.